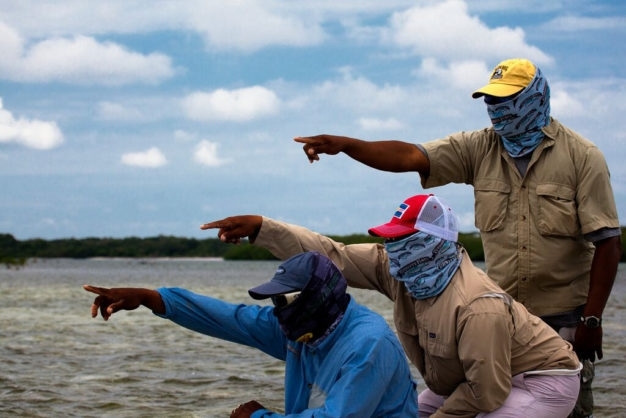 For already more than three decades, Turneffe Flats has been putting anglers into fish from their beautiful island location just off the coast of Belize. Situated in the midst of a vast array of beaches, flats, and reefs, Turneffe serves a limited number of guests in the pursuit of bonefish, tarpon, and permit, making it one of the best destinations on the planet for anglers to attempt the fabled "grand slam", landing one of each species all in a single day. 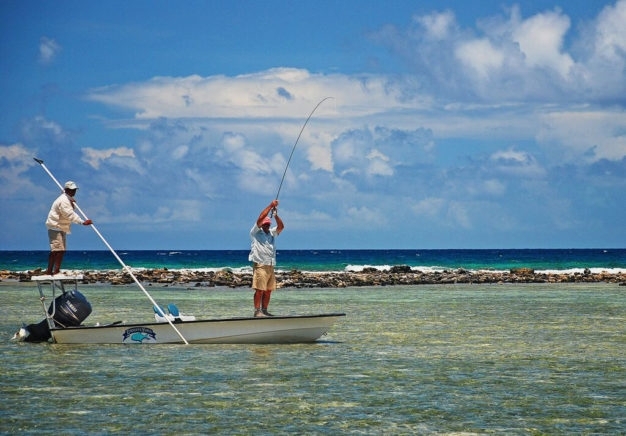 Turneffe is the largest coral atoll in the western hemisphere, and provides an incredible variety of saltwater fishing possibilities spread over more than two hundred and fifty square miles of water. 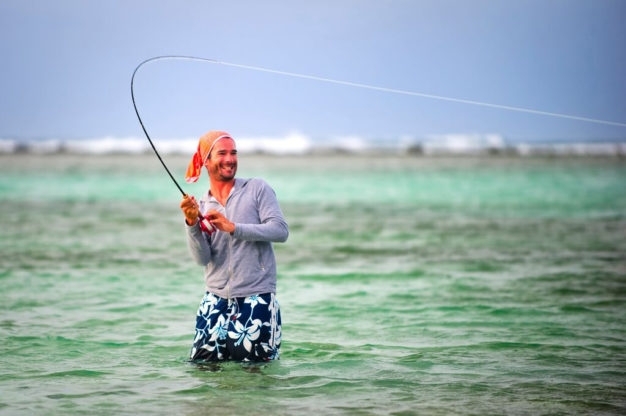 From the expansive flat right outside the door of our lodge to the reefs and other flats stretching out for miles in every direction, the opportunities for wading and poling are both expansive, and diverse. 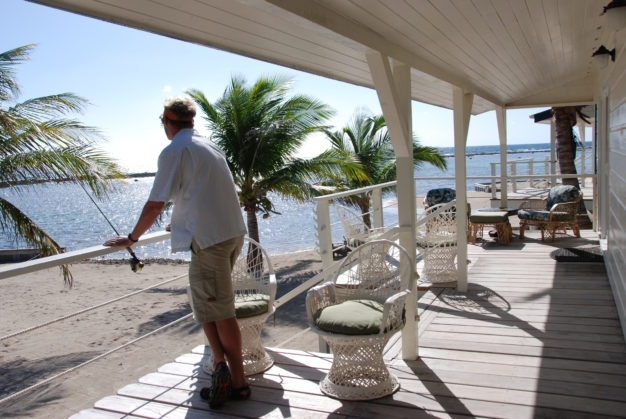 Clients fishing schedules are kept as flexible as possible to account for tides and personal tastes, but generally mean eight or so hours spent on the water each day. Early morning fishing, especially for tarpon, can be quite exceptional, and arrangements can be made with the guides for pre-breakfast fishing if clients so desire. 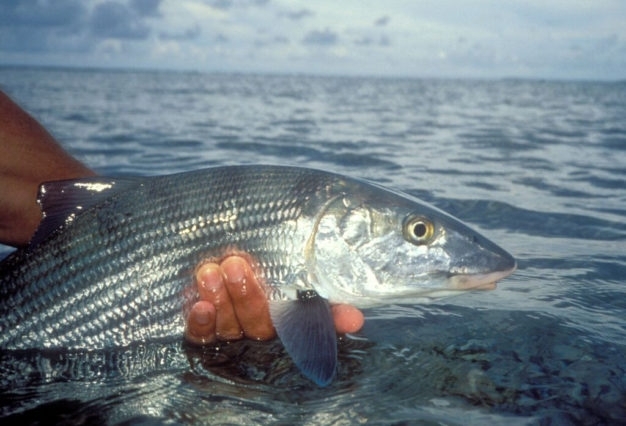 Bonefish are the atoll's most commonly sought targets, and are plentifully present in equal numbers all year round. Our ocean-side flats host large schools of fish averaging three to four pounds, with six to eight pound fish being common and double digit fish also making regular appearances in small schools, doubles, and singles. 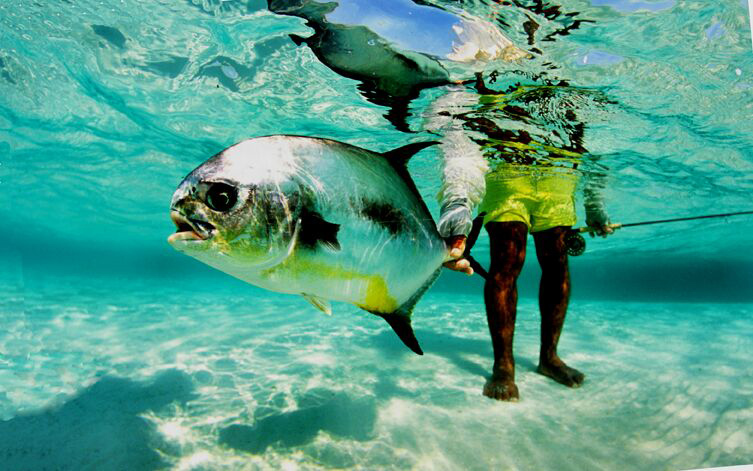 Both wading and poling are approaches that work well for these beaches. 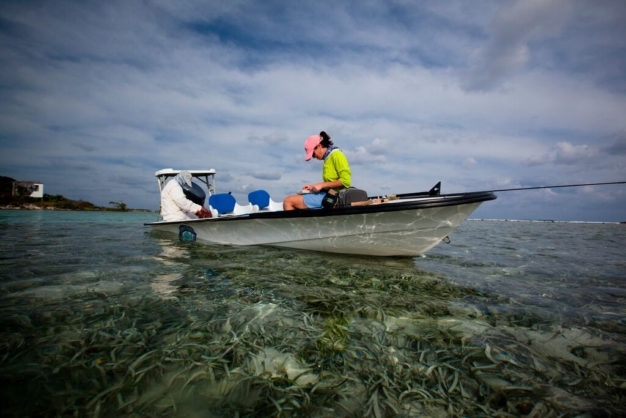 The interior of the atoll also sees huge numbers of bones plying the mangrove lined lagoons and soft bottomed flats that we fish from the decks of our custom built flats boats. 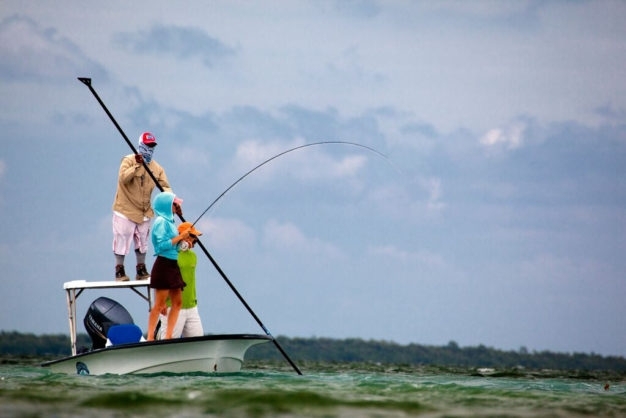 For most conditions year round 7 or 8 weight rods will deal with any wind encountered while fishing bones at Turneffe, and there is never any need for anything other than a floating line. 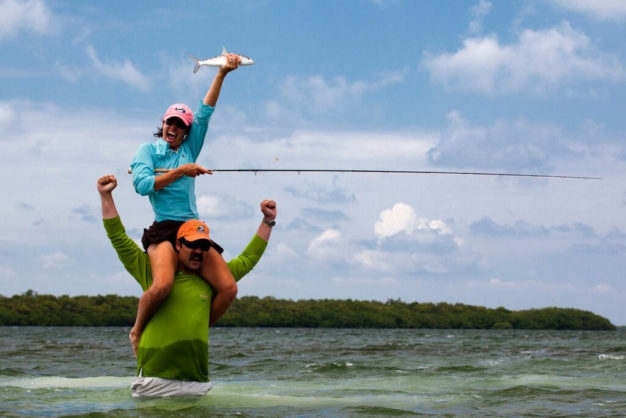 Flies for these flats tend to be on the small side, usually #6's, but sometimes also #8's or even #10's. A few very well known flies have even been developed here, including the Pops Bonefish Bitters (created by Craig Mathews with the help of our guide Winston "Pops" Cabral) and the ToDyFor which is named after our long time guide, Will Dyer. 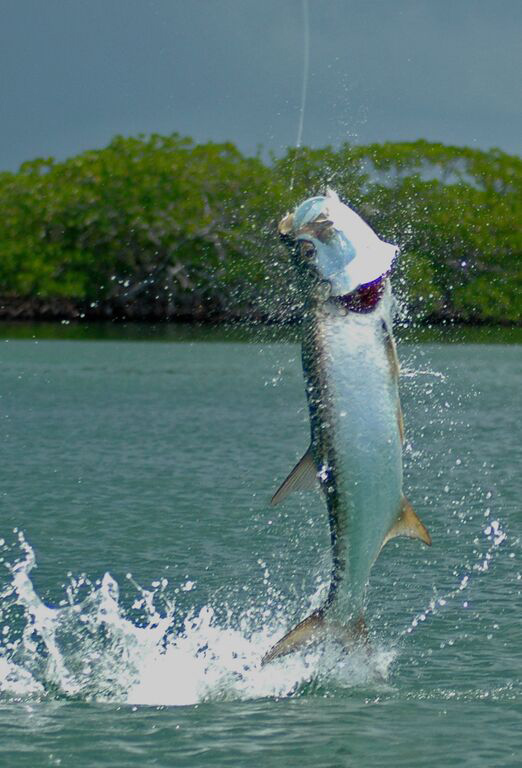 Tarpon are present year round on the atoll as well, with additional migratory fish augmenting the local population each year. Tarpon numbers begin to increase in April or May and drop off in September or October with peak tarpon months being June, July, and August. 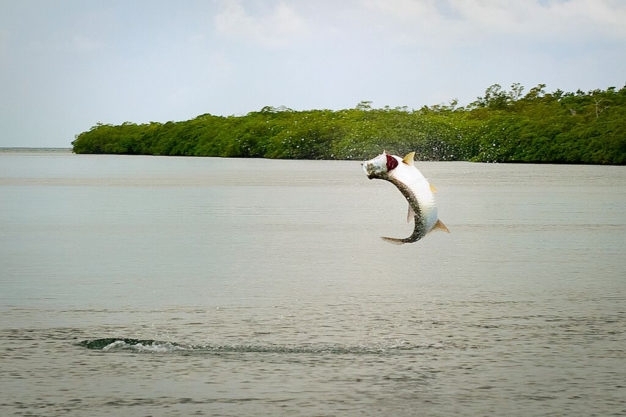 Most tarpon jumped are between sixty and ninety pounds, with some fish in the hundred to hundred and fifty pound range, and occasional monsters going a full two hundred pounds. 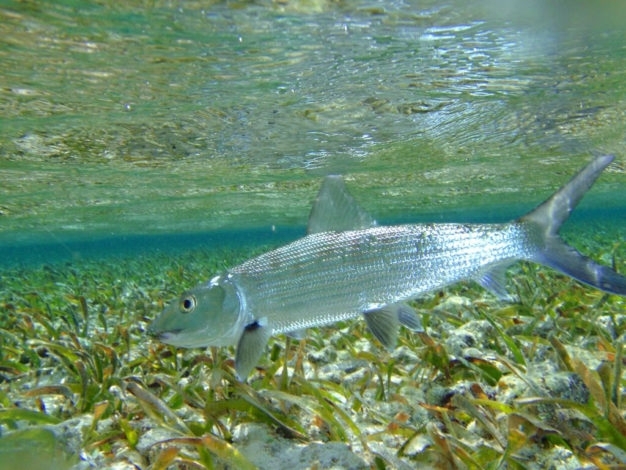 Tarpon are mostly targeted in the interior creeks, channels, and lagoons of the atoll, although they can certainly be encountered in any location at any time. 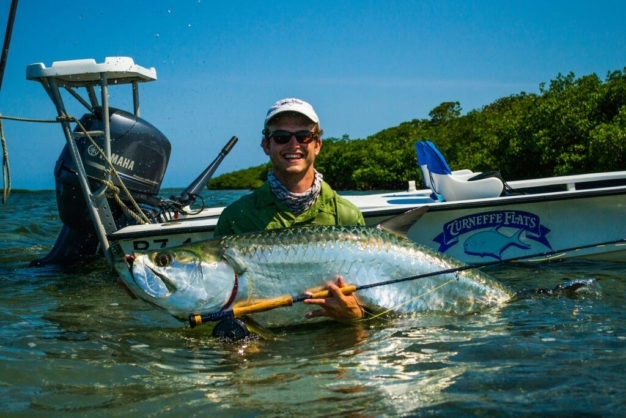 Rods for tarpon should be either 11 or 12 weights. 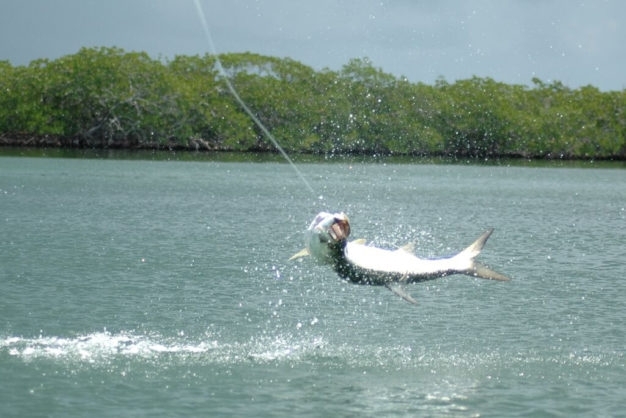 Both floating and sinking lines should be brought in order to pursue tarpon, preferably on two different large arbor disc-drag reels each with at least two hundred yards of thirty pound backing. One of the best sinking lines to use is the clear SA Mastery Series WF-S Line, i.e. their Slime Line. 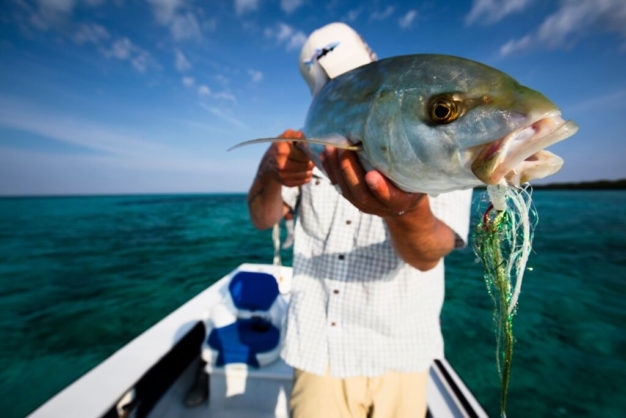 This is a slow-sink line which allows you to fish at various depths and we think it is better and more versatile than a sink tip. Flies should be either 3/0 or 4/0 sizes, and a selection of patterns for our fish would include the Cockroach, Black Death, and Purple Haze in orange/red and white/red, as well as Abel Anchovies and various colors of Deceivers. Dark colors tend to be better in the early morning and brighter colors work best when it’s bright. 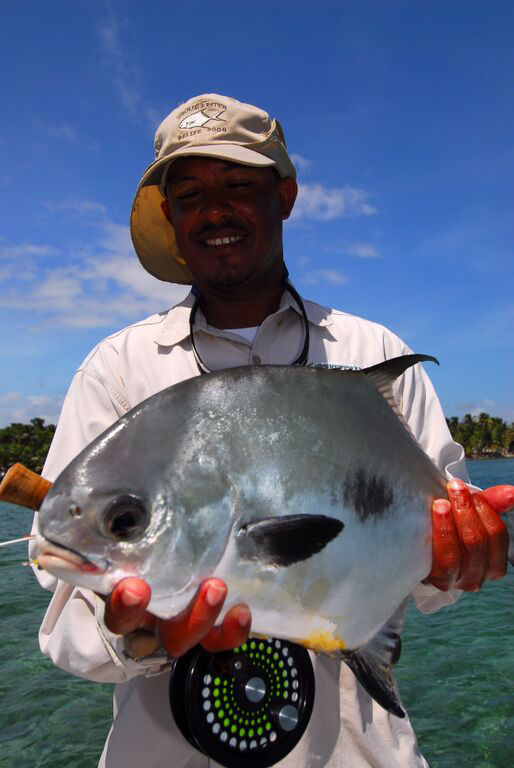 Permit are perhaps the most sought after and challenging sportfish targeted by fly anglers today; and Belize is an excellent place to pursue them. 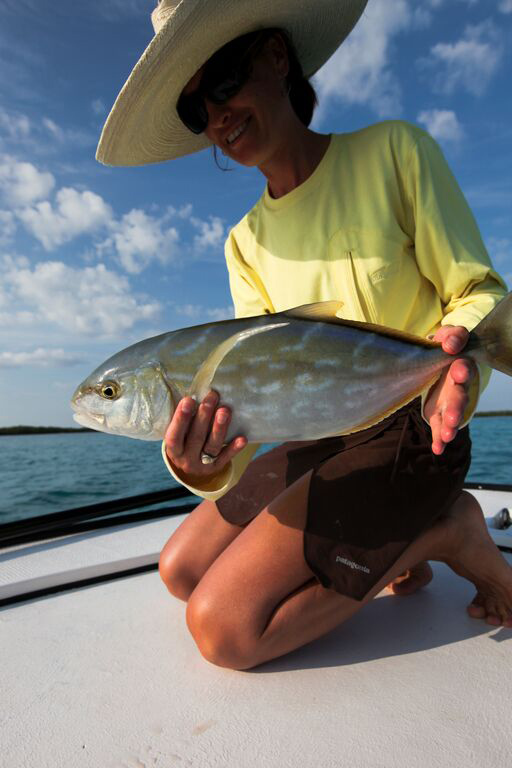 Countless anglers have celebrated the landing of their first permit at Turneffe Flats, and for those willing to make that pursuit a priority, our guides are ready and willing to do everything in their power to make it happen. 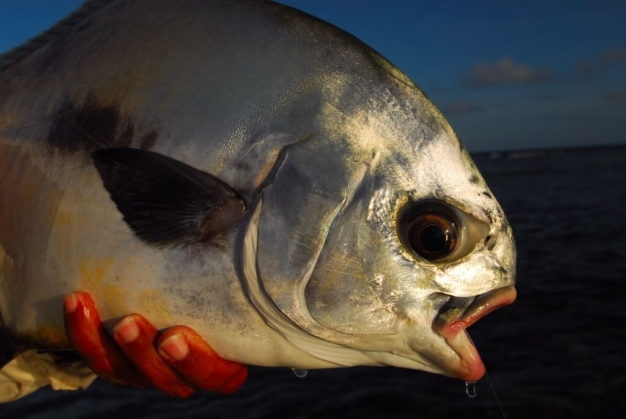 Permit are found in singles and small groups throughout the Turneffe atoll, but we frequently find even large schools of these elusive fish tailing in shallow water. 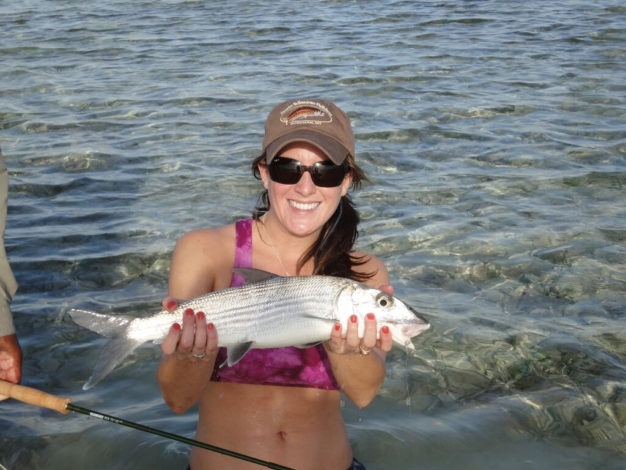 Most anglers specifically targeting permit will fish throughout the day from poled skiffs, but wading anglers frequently encounter chances too, even while pursuing bonefish. 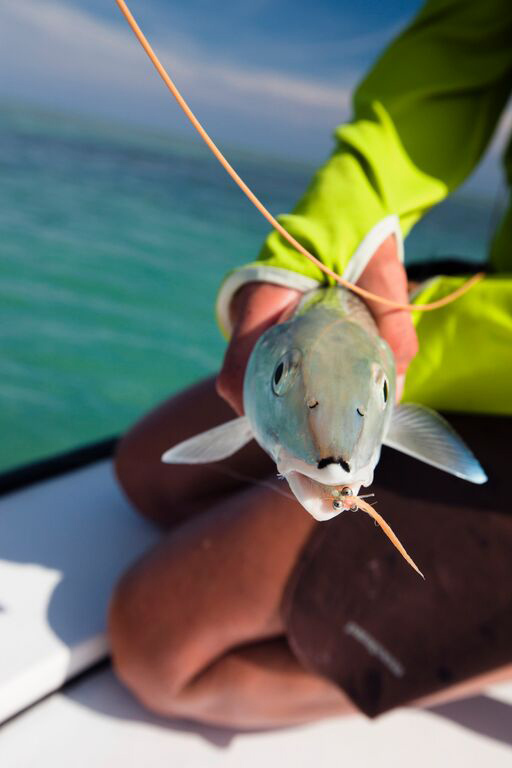 Accuracy of presentation and often also distance can be critical factors in hooking up with these amazing fish. 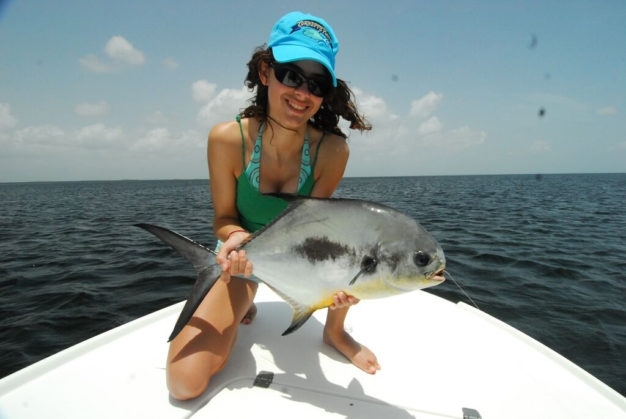 Permit at Turneffe average 15 to 18 pounds but large permit exceeding 40 pounds are regularly seen. 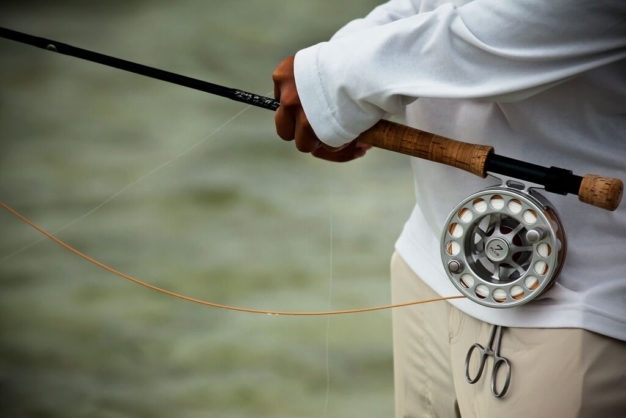 Rods in weights 9 or 10 are the norm for permit, coupled with reels that hold at least two hundred and fifty yards of backing. Larger crab patterns are the go-to flies, with Enrico Puglisi's "EP Merkin" in either tan or olive being our number one choice. 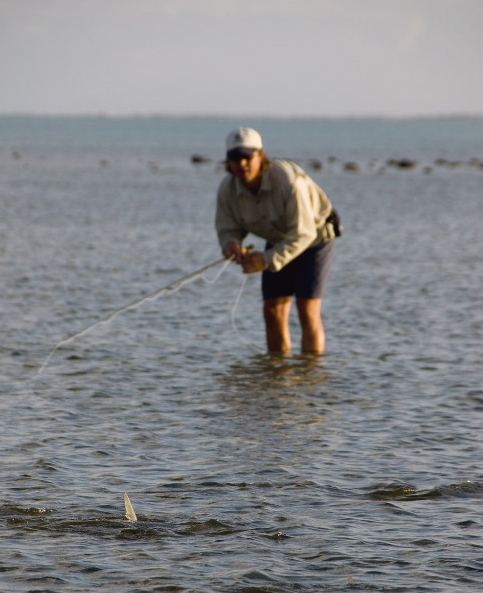 Other good patterns include the "Bauer Crab" developed by Will Bauer and the "Turneffe Crab" originated by Craig Mathews. 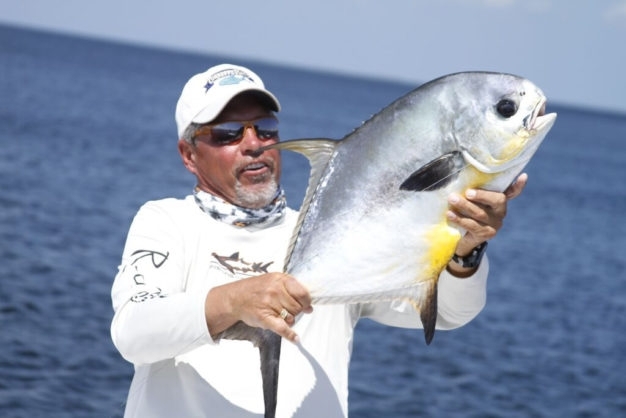 Stiffer than normal leaders are generally required to turn over these heavy patterns, and we have our own fluorocarbon tipped leader pattern that can be given to clients in advance of their trip. 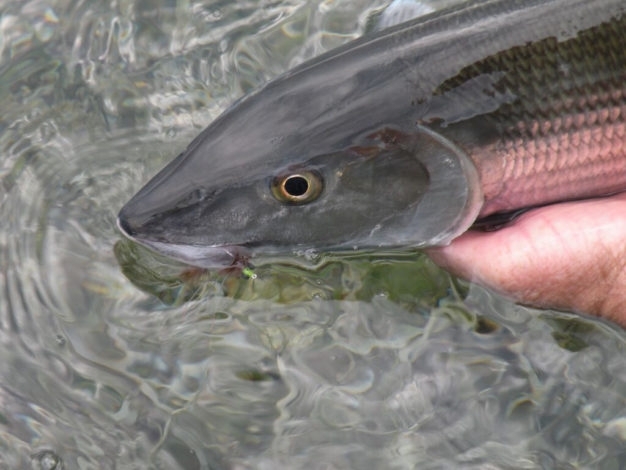 Otherwise stiff-butted fluoro leaders ending in 15 to 18 pound tippet are advisable. 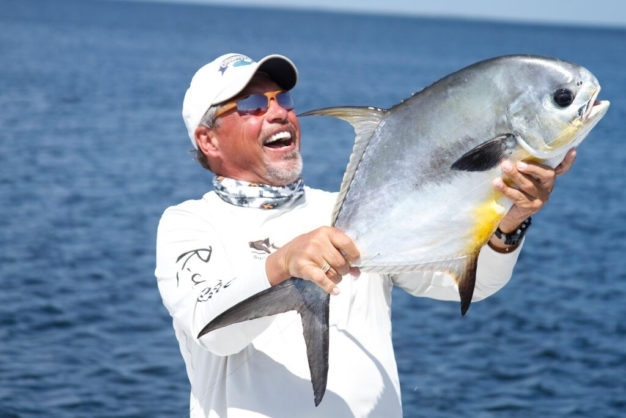 Grand Slam Season: June, July and August are our best overall fishing months for the grand slam because there are good numbers of all three species available. Summer temperatures are in the low-to mid-90s and a steady trade wind generally makes the weather very comfortable. 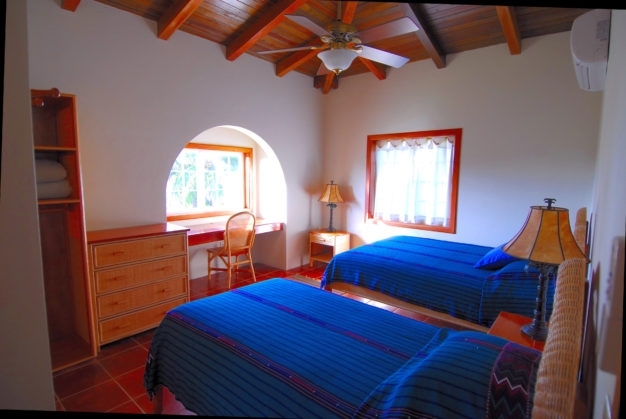 Our centrally air-conditioned rooms make for comfortable sleeping throughout the summer. 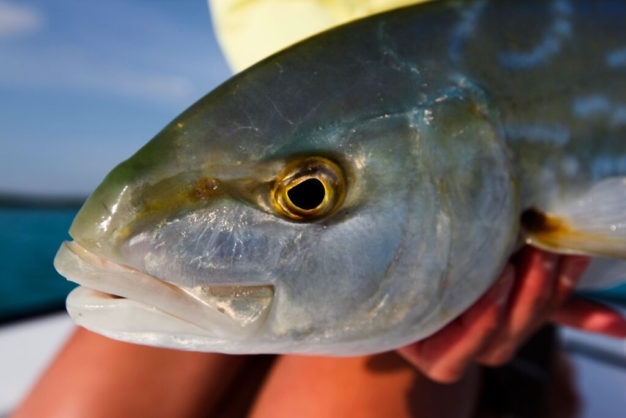 Other species commonly pursued include snook, snappers, jacks, and barracuda, the last of which is perhaps the most under-appreciated gamefish on the flats. 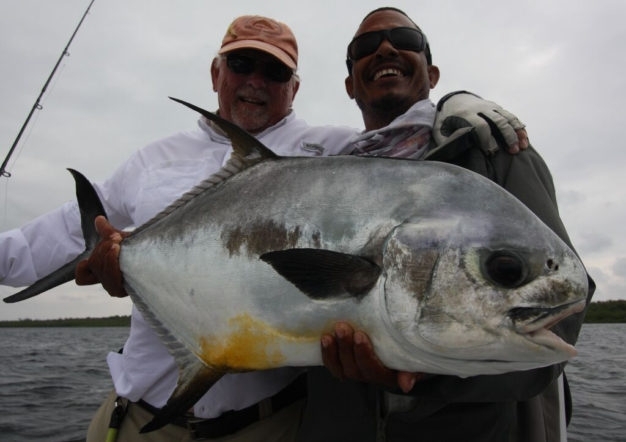 Any clients wishing to pursue any of these fish need only ask their guides and will soon find themselves with opportunities to cast at them presented. Turneffe Flats Guides pole sixteen foot Dolphin Super Skiffs, custom built in the United States just for our location. 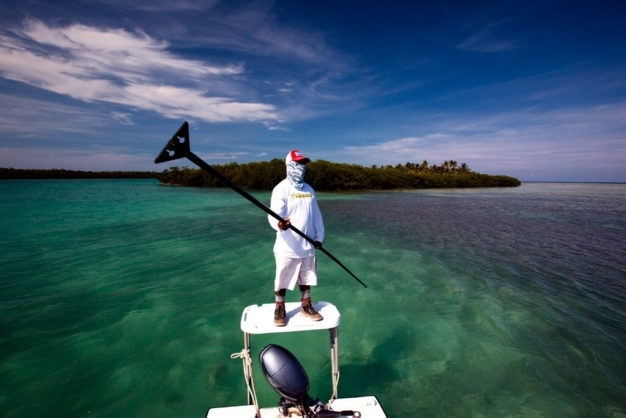 They cut the chop when making distance and stay afloat in the skinniest of water, with space to store six assembled rods which allows anglers to have a different stick rigged for each species they might encounter. Our guide team is 100% English speaking, and built from a team of the most experienced local fish spotters in the country. Turneffe Flats Lodge is located on the remote northeastern side of Turneffe atoll, at the tip of a secluded twenty five acre point with its own expansive white sand beach, incredible views, and wadeable flats or reef structures all the way around. The main lodge itself is the social center of the property. 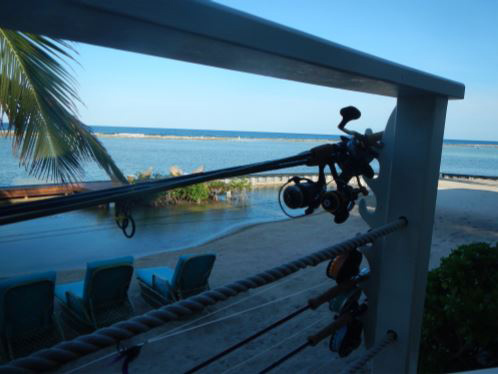 Two levels of decks provide wonderful ocean views, and the dining room bar and sitting areas are always favorite gathering sites for guests. 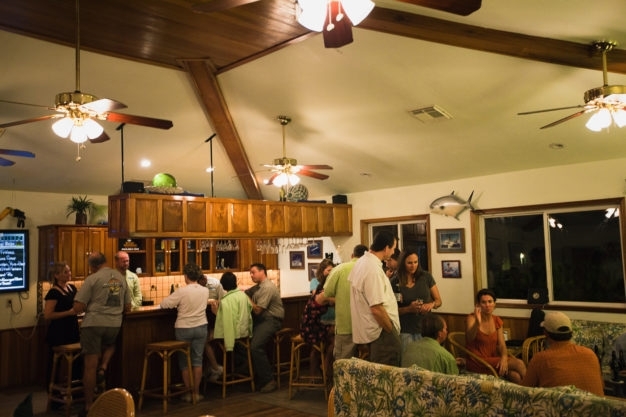 Additionally, a gift shop and fly shop are located in the main lodge building. 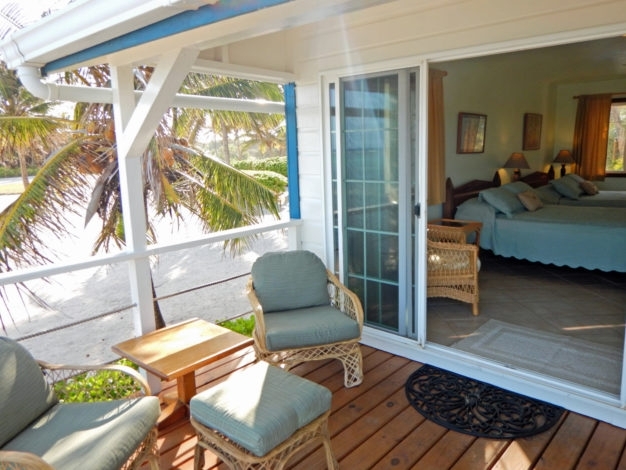 The Beach Cabanas - These eight cozy, air conditioned cabanas each have two queen sized beds, a built in dresser and desk, private bathrooms with two sinks plus a large walk in shower, as well as covered decks with a spectacular view of the reef. 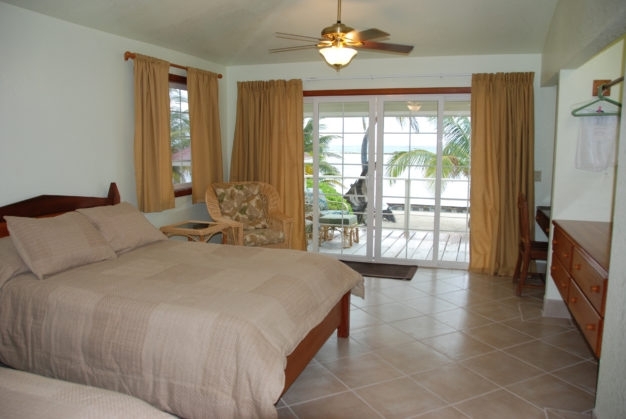 The Reef Villa - This comfortable free standing house features three separate bedrooms (one with two queen sized beds, another with one queen bed, and the last with two single beds) each with their own bath, a common area with satellite television and a small kitchenette, and its own large beach area that provides what is probably the best view on the peninsula. 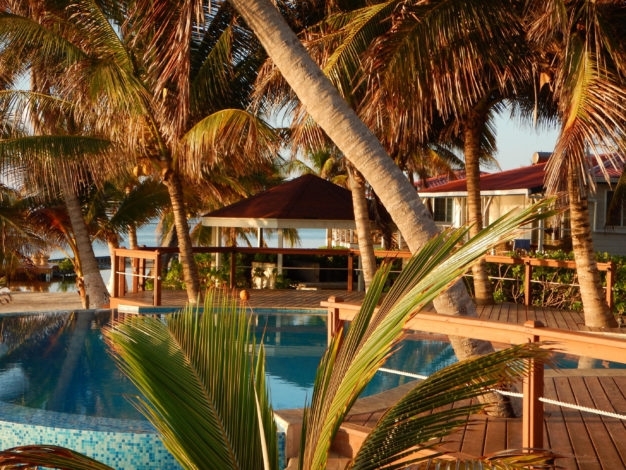 The Garden Villa - Our most spacious option is set slightly back from the beach itself, but still with excellent views of both manicured grounds and the ocean. 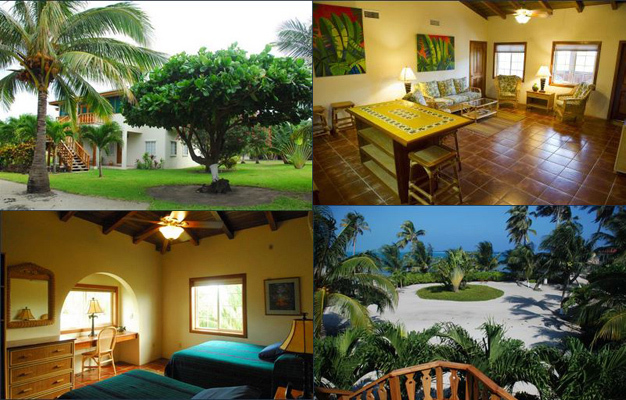 The Garden Villa features three beautifully appointed guest bedrooms, each with its own private bath, and a large common area that provides an indoor gathering space for larger groups or families. Satellite television and a small kitchen area complete the design. Common areas on the property include all outside beach frontage, a large deck with Infinity Pool, an indoor meeting room, and exercise facilities. 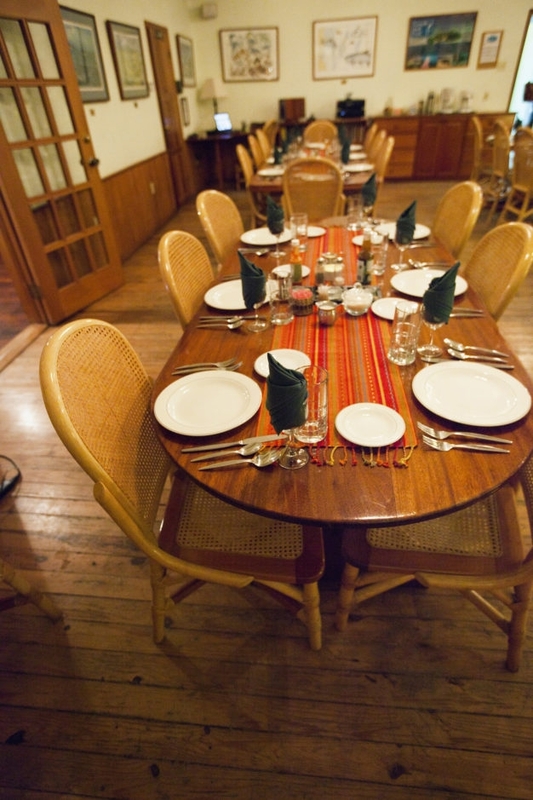 Wireless internet via satellite is available in the main lodge and, depending on your device, several of the cabins as well. This service provides email and internet usage; however, our satellite- based bandwidth is limited and we are not able to support Skype or other VOIP protocols, instant messenger services, Youtube, video downloads, webcam, streaming video, IP TV, IP based mobile phones or other applications that require large amounts of band width. 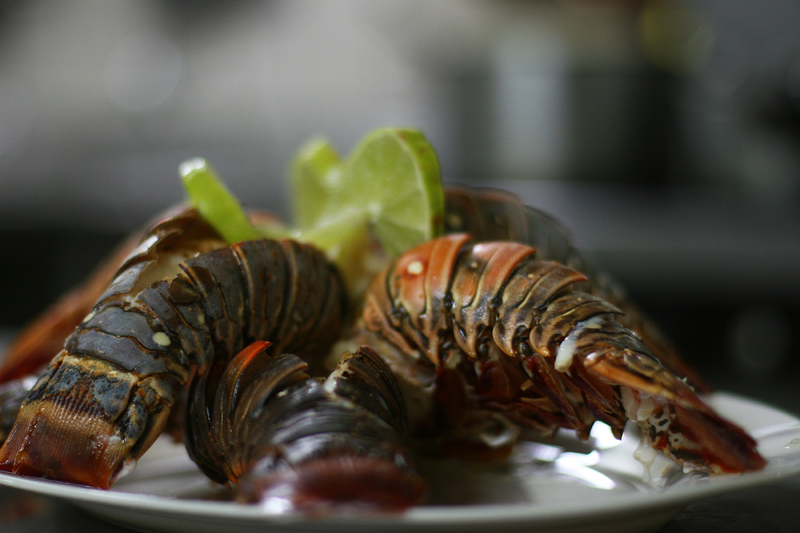 Turneffe Flats prides itself on providing excellent meals complete with fresh fruits, fresh seafood and fresh baked pastries. 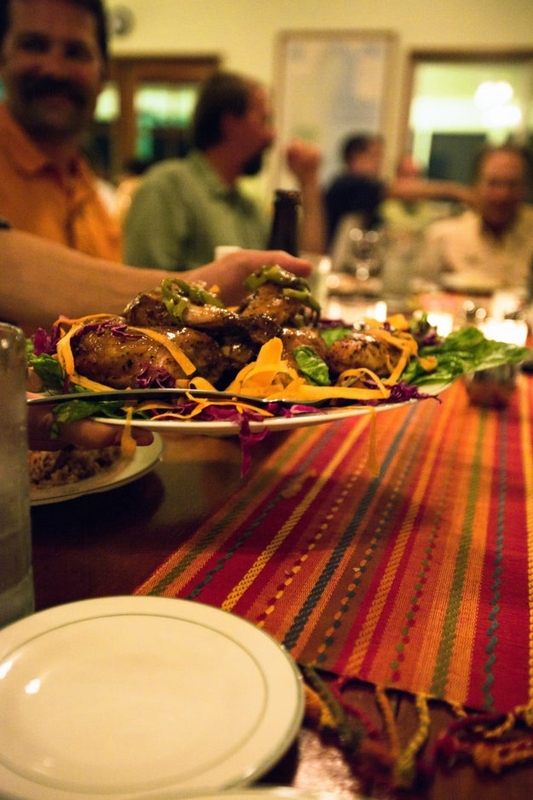 Breakfasts and dinners are served family-style in the main lodge, and consist of a tasty combination of Belizean and American dishes. The coffeepot in your room will be prepared and ready to go each morning, and a breakfast of fresh fruit, cereal, eggs, pancakes, bacon, sausage and fresh baked goods is served from 7:00-8:00 a.m. Lunch at the lodge is served between noon and 2:00 p.m., and guests always have the daily option of returning for lunch or taking a packed lunch with them out on the water. Hors d' oeuvres and cocktails are served at 6:15 p.m. and dinner, at 7:00 p.m., is the big meal of the day. 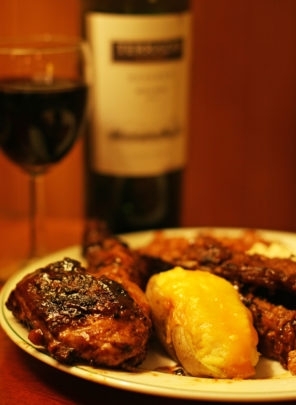 Entrees vary from seafood, chicken, pork and beef. 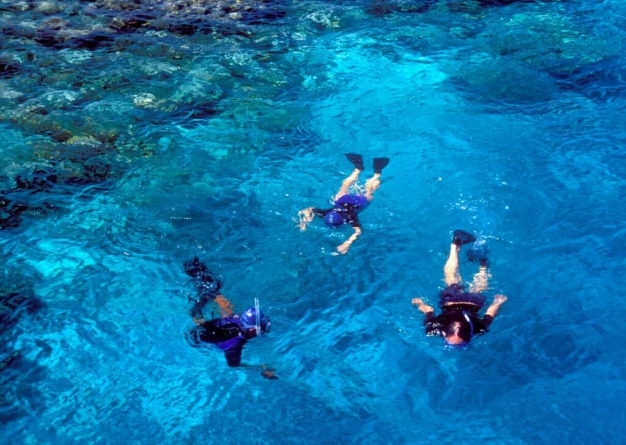 Entry to Belize: A valid passport is required to enter Belize. When checking in to the country, keep the bottom portion of your immigration form, which you will fill out on your arriving flight. 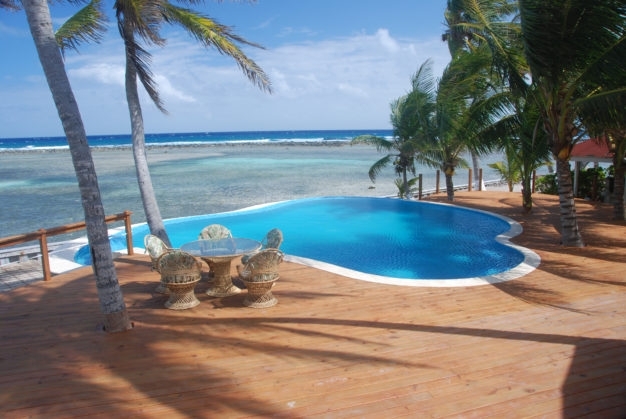 It will be used when you depart Belize. 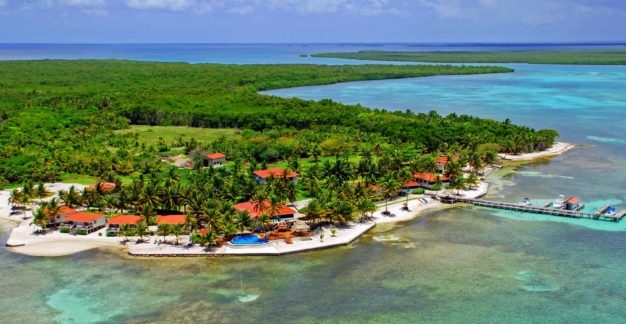 Currency: US currency is easily exchanged in Belize at a rate of $2 BLZ for $1 US, and you do not need to exchange money before leaving the U.S. Large US bills ($50's and $100's) are difficult to break, so we suggest that you bring smaller bills if possible. 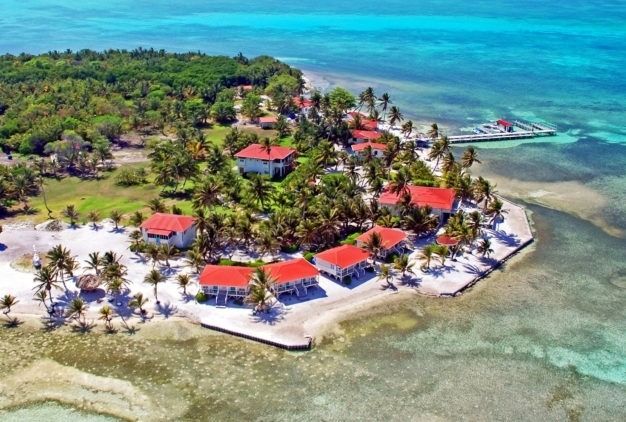 Non-US currencies should be exchanged for Belizean dollars or US dollars prior to traveling to Belize. Turneffe Flats accepts MasterCard, VISA, and Discover as well as travelers checks or personal checks drawn on U.S. banks. Major Credit Cards are accepted in Belize City. Arrival: All flights coming in should arrive no later than 3:30 p.m. 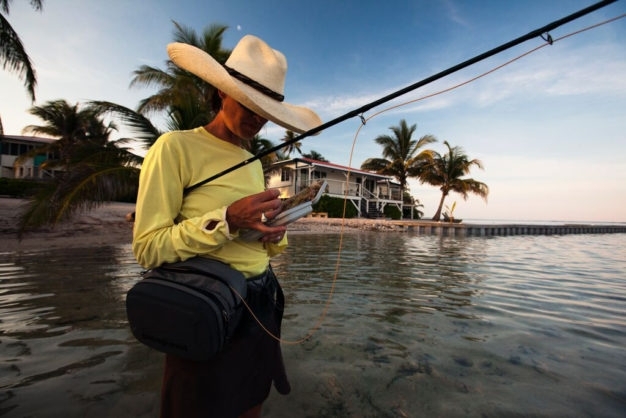 Upon arrival at Belize International Airport, you will pick up your luggage, clear customs, and exit the airport. As you exit Customs, a Turneffe Flats representative will meet you and transport you to the Radisson Hotel Marina. 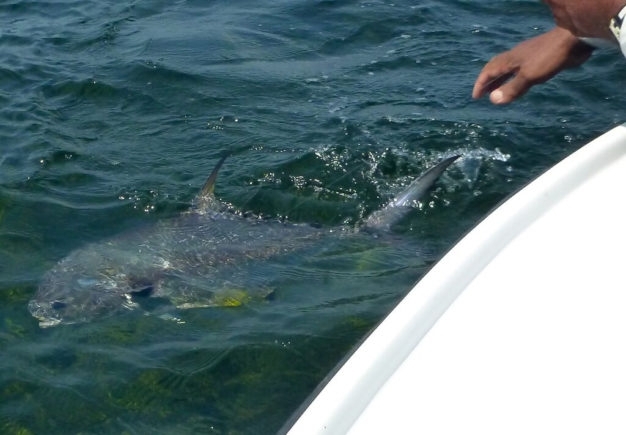 At the Marina, you will be notified of the boat’s scheduled departure time, which varies according to guest arrivals. 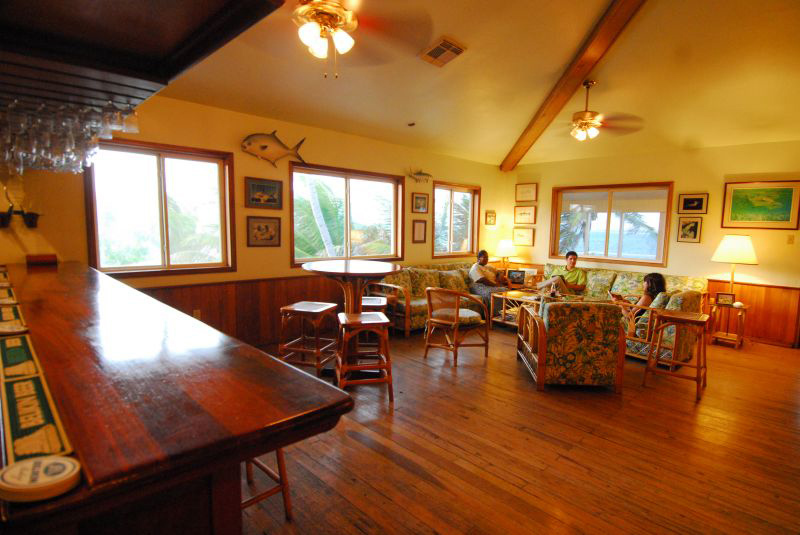 There is a restaurant/bar at the marina for lunch or a beverage while you wait to leave for Turneffe Flats. If for some reason you cannot find a representative of Turneffe Flats at the airport, simply take a taxi to the Radisson Hotel Marina. 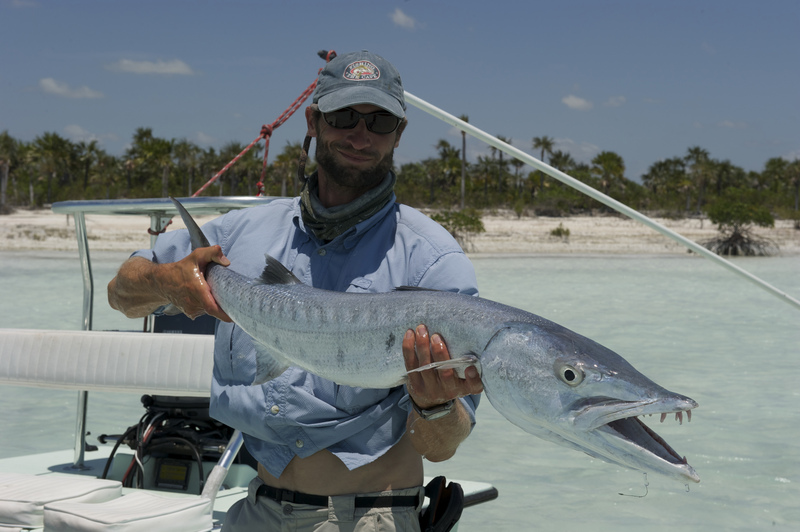 Boat Trip to Turneffe: The boat trip to Turneffe Flats takes approximately 90 minutes. 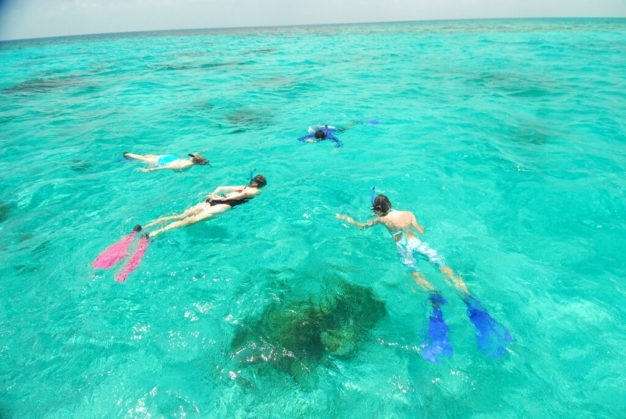 You will travel through several off-shore cays, first crossing the Barrier Reef and then the open ocean before arriving at Turneffe Flats. 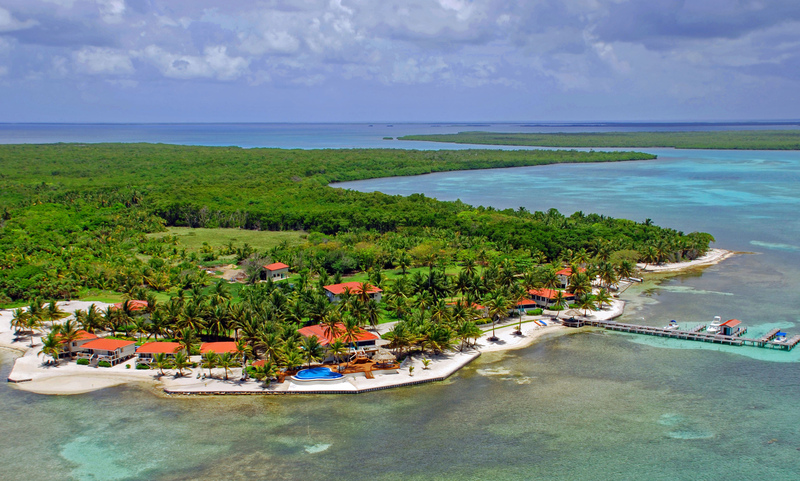 After a light breakfast your last morning you will leave Turneffe Flats at approximately 7:30 a.m. After arrival in Belize City, you will be transferred to the airport in our van. Departing flights should be scheduled for 11:00 a.m. or later. Your airline MAY collect a departure tax at check-in of up to $40 U.S. per person depending on how your ticket was purchased. 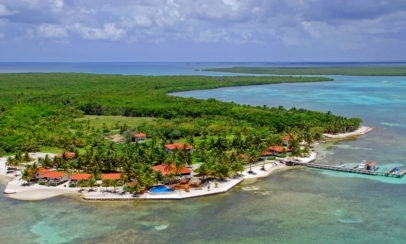 For guests with mid-late afternoon departures, we can arrange a half-day tour of a Mayan Ruin or The Belize Zoo with a local tour operator if you like. 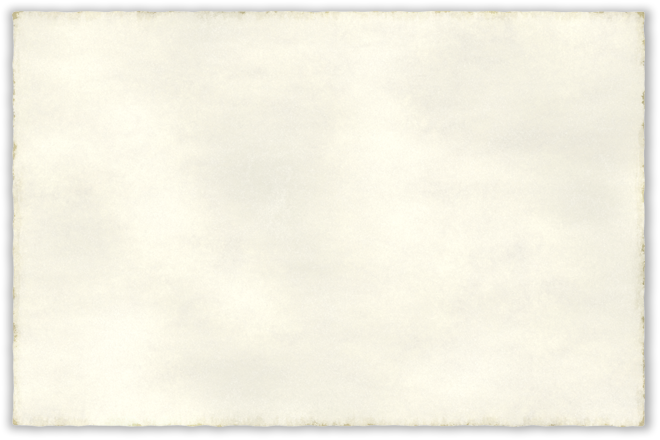 All Turneffe Flats packages are based on Double Occupancy unless otherwise noted. Single Room upgrades must be arranged in advance. Pricing is quoted in US Dollars. Packages Do Not Include: Liquor, gratuities, park fees and licenses, airport transfers other than Saturday and Wednesday. 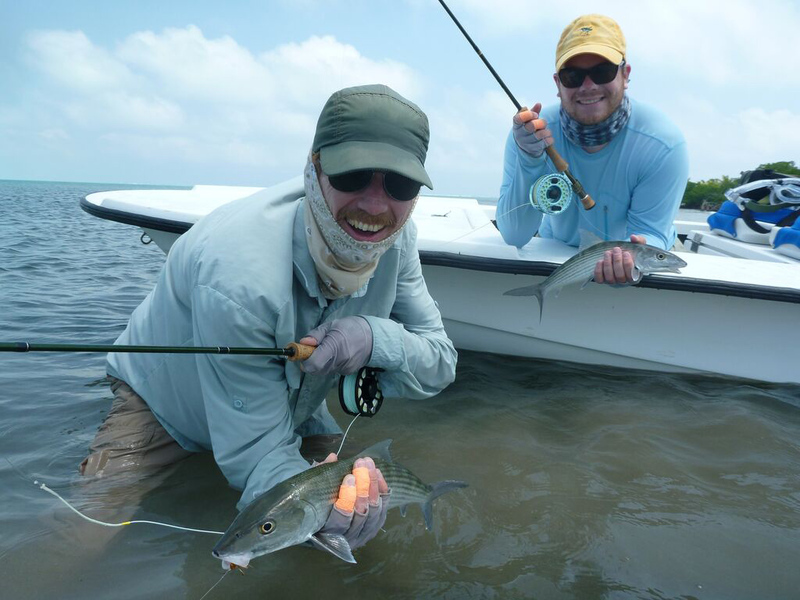 Contact us today for available dates and pre-trip details; then get started on your way for this dream-trip of a lifetime to Turneffe Flats, the authentic five star experience at the top fly fishing destination of Belize!